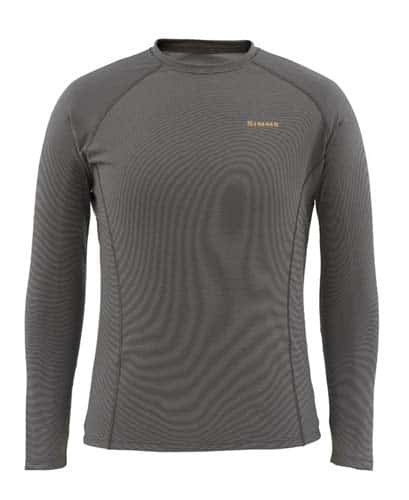 Shop Simms new WaderWick Core Crewneck providing next to skin double knit fabric with 2 way stretch for rowing or hiking. A moisture wicking Cor3 fabric treated with anitmicrobial agents. All this while providing UPF30 sun protection makes the Simms Waderwick crew a top layering piece in anyones fly fishing arsenal.